Mr. and Mrs William Hewitt came to Rushden from London in 1889, and started a factory to make boots and shoes. 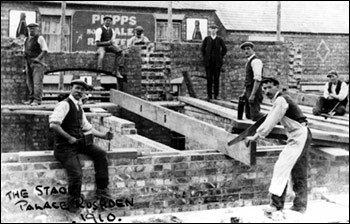 In about 1896 they were founder members of the Rushden Amateur Dramatic Society and also brought the cinema to Rushden. In 1910 they moved to Wellingborough, and Mr. Hewitt was co-founder with the late Mr. George Brown of the Palace Theatre Company. The company built cinemas in Wellingborough and in Rushden, both called the Palace. 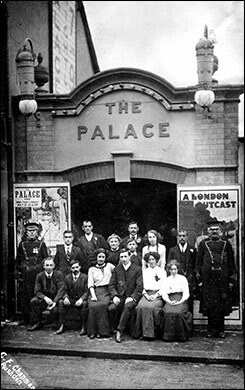 Staff of the Palace Cinema July 1912. The boy in the centre is Horace Wills. Frank Wills kept an outdoor beer house at number 25 Alfred Street, facing the rear of the Palace Cinema, and they watched the cinema taking shape in 1910. 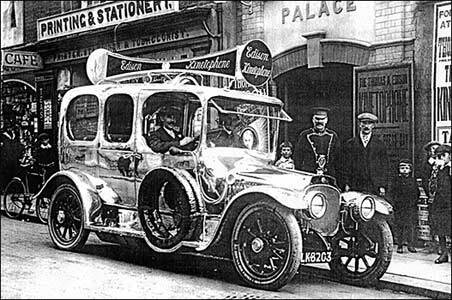 Frank's son Horace became a "limelight boy" at the cinema and is pictured left, with staff outside the cinema in 1912. Horace Wills later established himself as a wirless engineer in 1920 and traded at 38 High Street. taking an interest in the proceedings, is Frank Wills. 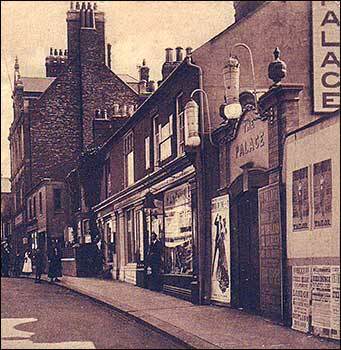 The Palace cinema opened on September 19th 1910. The main auditorium extended through to Alfred street. The first programmes consisted of live variety and cinema shows. Admission prices were 2d, 4d and 6d, with seating for 543 people. 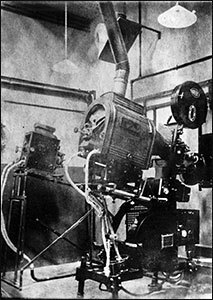 The cinema generated its own electricity using two oil powered engines. 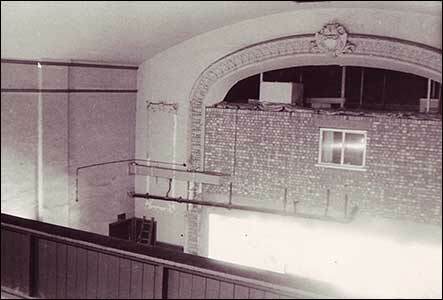 “Talkies” were not installed until 1930, when the admission prices were now 6d, 9d, and 1/- in the stalls, 1/3 and 1/6 in the balcony. The first commissionaire was George Thomas Carr who died at Wellingborough in 1926 from tuberculosis. “The Palace” – This amusement hall has proved an extraordinary attraction during this Feast week, and on several nights the accommodation has proved inadequate, and many have had to be turned away. The cinematograph pictures have been greatly admired, and the artistes have been very popular. The latter have included Will and Roze, in their Continental acrobatic scena; Valvo, military ventriloquist; and The Arnolds, in their cabinet mystery “Spiritus”. For the coming week an excellent programme had also been arranged. Some very fine pictures will be shown and in addition there will be The Three Veros, vocalists and speciality dancers; Babs Campbell, comedienne, and the great Boutelle, the famous juggler from the Palace, Shaftesbury-avenue, London. Boutelle’s engagement is, of course, an exceptionally important one, his talent being of a remarkable character. Six-year-old Betty Delamare, whose father, Mr. George Delamare, is the popular manager of the Rushden "Palace," is on the books of Rushden Swimming Club as the youngest member. And Betty is a credit to her club. She is completely confident when swimming in the Ouse, and to the delight of the crowd at the Rushden gala last Thursday she appeared there and did two widths of the baths in very good style. 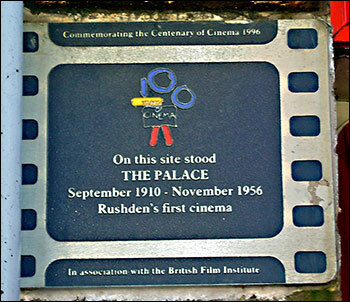 In 1996 Rushden & District History Society put up a Blue Plaque on the building, in commemoration of the centenary of cinema. The Palace was opened in September 1910 and closed in November 1956.